We Brought Magic Back To Childhood - May Gibbs Magical Adventures! Who stole all the magic from childhood? We suspect it was the Big Bad Banksia Men but we have no proof! 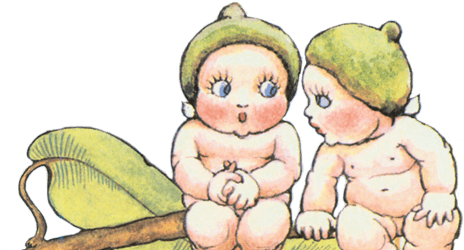 May Gibbs believed that childhood should be magical – filled with the wonder of nature, with little bush babies on big adventures. She believed in the joy that only reading can spark. We believe that every child should experience that delight, so we showed some children what a magical childhood is all about! Their delight was inspiring. Give them the gift of discovery. Unwrap their imaginations. Introduce them to your own magical childhood adventures. Spark a love affair with reading. 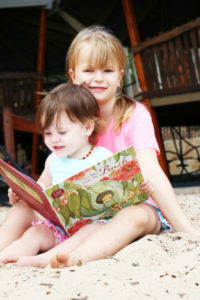 Introduce them to a fairy-tale world in their own backyards – where pixie like bush babies play. Pique your child’s curiosity, show them that the real adventure, the real excitement isn’t on TV, it is happening all around them, in Australia’s incredible bush land. 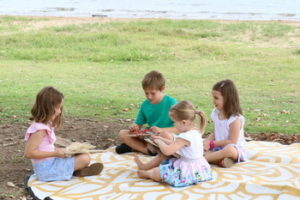 We set out to show Australian families the pure joy of discovery – when you find something unexpected under a tree! 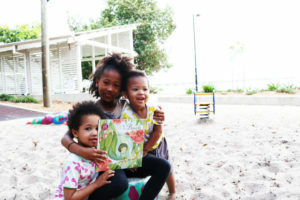 We sent our Bush Baby Team to a beach and bush front playground to create a magical landscape of discovery. 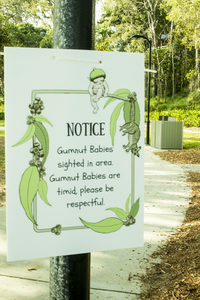 Our team arrived early and placed signage around the park informing the locals that gumnut babies had been sighted in the area. The team then watched as early morning joggers and dog walkers stopped to read and photograph the signs. After all, gumnut babies are rarely spotted in their natural habitat! Our team then placed copies of the beautiful re-released gumnut babies stories in the bush land, along the beach front and throughout the playground for children to find. One by one, local families arrived for an early morning play. Little ones still in their PJs nestled in their prams. Toddlers and school kids arrived to climb the cliffs and explore the park. 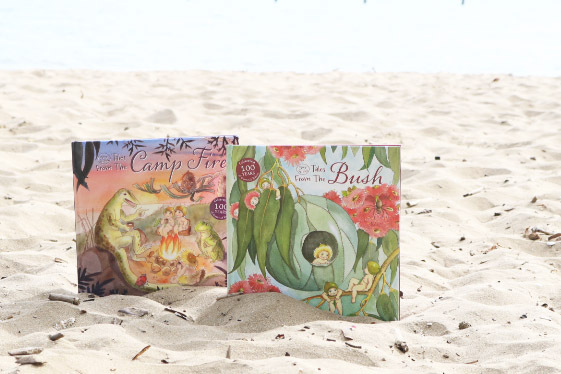 Our team stood by and watched their faces as they encountered an unexpected gift – beautiful May Gibbs books peppered around the bush land, beach and playground awaiting their discovery! Their little eyes lit up with curiosity. The littler ones began exploring May Gibb’s signature illustrations of fairy like creatures with their animal friends. Bigger kids stopped to read a few lines before running to show the bank of mums, dads and grandparents their unexpected discovery. As the park filled, there was a buzz of pure excitement as kids scurried to spot a bush baby in the towering gums around the playground. 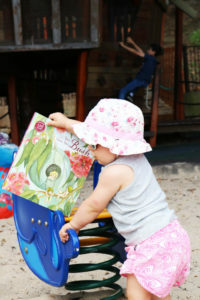 Each book discovered sent out another buzz of excitement through the little crowd of children. Parents and kids were delighted. There was a magical buzz in the playground inspired by reading and adventure. And we believe that this is the greatest gift you can give your child. Share a magical childhood experience with your kids. Show them what it was like to discover a wonderful book that you simply couldn’t wait to read. Show them that magic lives all around them, in nature. 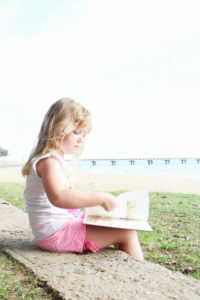 Teach them that getting out into the Aussie bush is all about discovery and inspiration. Give your child the gift of imagination and delight. Find inspiration here.